If you have an interest in the more esoteric aspects of Judeo-Christian lore, then you may have some passing familiarity with the Nephilim. But you probably have more questions than answers. Were the Nephilim fallen angels? Were they the children of fallen angels? Were they entirely human? Almost any discussion about the Nephilim is going to be rife with controversy and confusion—and for good reason. Nobody knows who the Nephilim really were. How can we break down a complicated topic? Well, let’s start by looking at references to Nephilim in the Bible and the Book of Enoch. Then we can explore some of the different theories that scholars, philologists, and theologians have proposed. Among those hypotheses is one which should particularly intrigue you: It is possible that the Nephilim were none other than the Annunaki. What Does the Word “Nephilim” Mean? 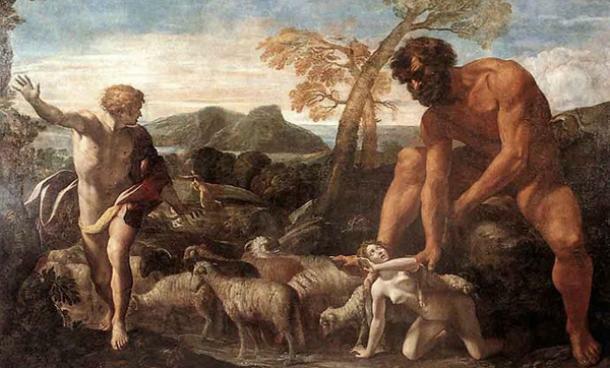 According to the Brown-Driver-Briggs Lexicon, the word “Nephilim” translates to “giants.” The idea of Nephilim as giants seems to be just about the only thing most scholars agree on. Let’s go over the actual scriptural references to Nephilim. “Then they took wives, each choosing for himself; whom they began to approach, and with whom they cohabited; teaching them sorcery, incantations, and the dividing of roots and trees. It seems that all those worldly arts of civilization came at quite a steep price. The essential implication is that the fallen angels enslaved humankind. They bewitched us with wonders and then worked us to death. “Impiety increased; fornication multiplied; and they transgressed and corrupted all their ways. Now that you have seen the scriptural passages, we can talk about popular interpretations. 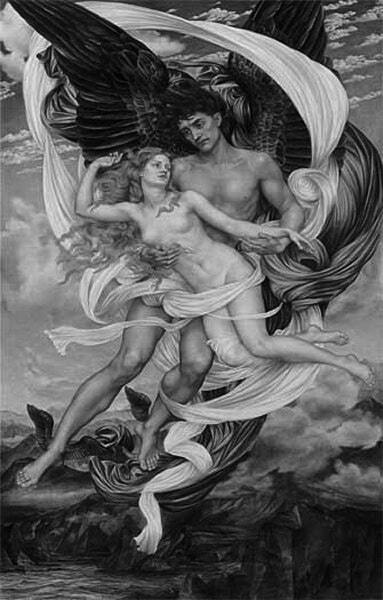 The Nephilim are descendents of fallen angel fathers and mortal human mothers, in other words, a hybrid race. The Nephilim are fully human. If you put stock in the Book of Enoch, you pretty much have to accept the Nephilim as hybrid children of mortal women and fallen angels. The book is pretty clear and specific on this point. Well, angels are traditionally seen as sexless beings, so in theory they should be incapable of procreation. Of course, we may not know all there is to know about angels. And perhaps fallen angels are different. Maybe their sins reflected not just a change in their actions, but also a shift in their nature. All of this is supposition—but there was likely quite a bit of that going on when the holy books were originally penned anyway. The other possibility is that the Nephilim were fully human. Giant humans may sound strange—but read the section just after this one on Goliath and you will see there is already scientific precedent. If the Nephilim were human, most scholars believe they may have represented the descendents of Seth. More specifically, they could have been children of the sons of Seth and the daughters of Cain. The children of Seth were previously considered righteous, but they lost that status (“fell”) when they rebelled against God. The daughters of Cain were never considered righteous. The most obvious reference to a giant in the Bible that you may remember from Sunday school is Goliath. 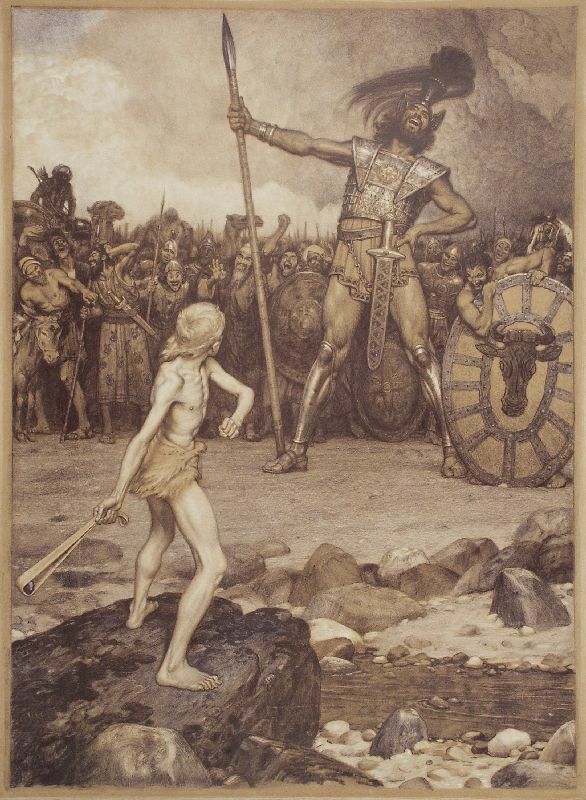 Was Goliath a Nephilim? Probably not, considering the story of David and Goliath is supposed to take place after the Great Flood. As the Flood supposedly wiped out everyone but Noah and his family, all the Nephilim should have perished. There are a couple alternate explanations. Maybe some Nephilim did survive somehow and made a return and Goliath was one of them. Or maybe Goliath was just a really tall human; bones of a human being larger than Goliath have been discovered. Could the Nephilim Be the Anunnaki or Their Descendents or Creations? As I stated at the start of this discussion, there is one more possible explanation for the Nephilim which should interest you greatly—they could be the Anunnaki. 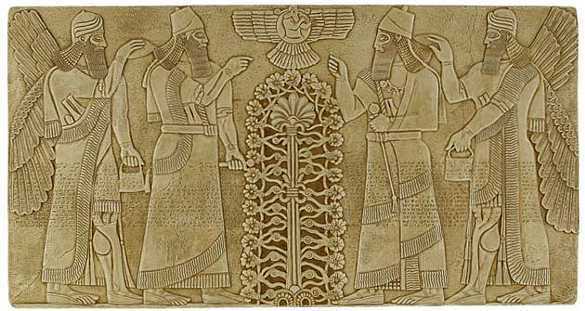 Just to clarify, I want to take a moment to discuss who the Anunnaki were. I am guessing if you are here reading this, you already know a lot about the Anunnaki, but I don’t want to make any assumptions. If this happens to be one of your first readings on the Anunnaki, then you should know that they represent the deities of the ancient Mesopotamians (Marduk, Enlil, etc.). They were the gods worshipped by the Sumerians, Babylonians, Assyrians, and Akkadians. Many people today believe that the Anunnaki may have actually been reptilian alien visitors who came to earth. This view was popularized by author Zecharia Sitchin as well as David Icke. When I talk about the Anunnaki in this article, I am referring primarily to their original role as Sumerian deities. If you are a believer in the reptilian theory, you can extend the connections here to encompass the modern mythology of ancient astronauts. 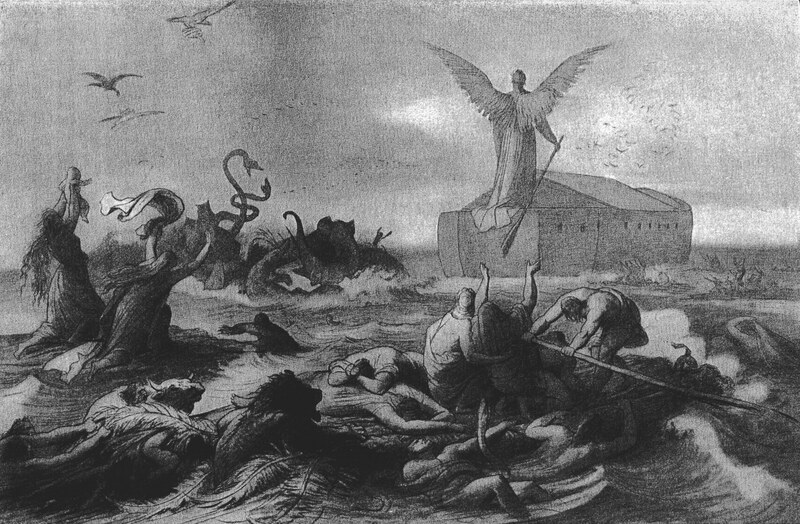 The Great Flood plays a prominent role in Sumerian mythology. You may also know about planet Nibiru. 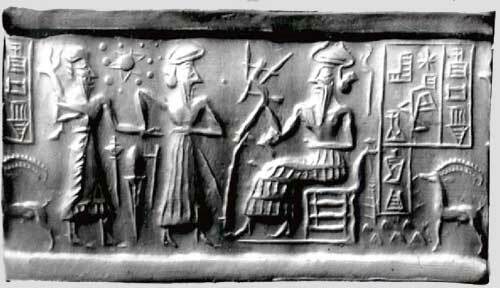 Those who believe that the Anunnaki are reptilians from space believe that Nibiru is the homeworld of the Sumerian gods. Nibiru is in theory part of our solar system, but it has a very long orbit and rarely comes close to Earth. The last time it did, the gravitational effects of its presence caused the Great Flood. It is clear that the Nibiru story and the Biblical story are both referring to the same cataclysmic event. The stories may differ as to the cause of the Flood, but both narratives connect to a mysterious race of powerful beings which used humanity for its own ends. It seems likely that they are referring to the same race of overlords. We can also look to Sumerian lore for even more insight into the Nephilim and the Anunnaki. 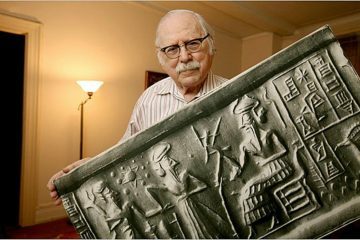 According to scholar J. C. Greenfield, it is possible that the Nephilim story in the Bible is actually derived from Sumerian mythology. Judeo-Christian mythology borrows liberally from pagan myth, so this would not be a surprise. In particular, Greenfield points toward the story of the Apkallu. The Apkallu were seven demigods created by Enki, one of the chief Sumerian gods. You may also hear Enki referred to as “Ea,” which is the name he was later given in Babylonian and Akkadian mythology. These beings were sent by Enki to teach human beings the arts of civilization: agriculture, writing, building, and so on. You may recall this is a direct parallel to the Book of Enoch, where the fallen angels taught humanity about astronomy, astrology, and so forth. Just as things turned sour in the Book of Enoch, they went badly in Sumerian lore as well. Interestingly enough, this is where the timeline starts to get murky. In Biblical lore, the Nephilim angered God before the Flood, which was one of the reasons the Great Flood happened in the first place. In the Sumerian story, events took place in a different order, but it is easy to imagine that the players were the same. At some point after the Flood, four Apkallu-human hybrids make an entrance: Nungalpirriggaldim, Pirriggalnungal, Pirriggalabsu, and Lu-nana. This indicates that Apkallu and humans were capable of interbreeding, a parallel to the idea that fallen angels and humans were capable of interbreeding. To top it off, these human-Apkallu hybrids really infuriated the gods. This is another link to the Bible story. This is why many scholars believe that the Nephilim myth was directly derived from the story about the Apkallu. It could be that the Nephilim represent the Apkallu themselves or (more likely) their hybrid descendents. Do not forget, in Biblical lore, the Nephilim are the children of fallen angels, not fallen angels. So let me take a second to clarify. If anything, the Nephilim can probably be equated to the Apkallu-human hybrids, not the Anunnaki themselves. Remember, the Anunnaki were gods. The Apkallu were demigods. Now that we have stepped in close to look at all the details, let’s take a few steps back and take a look at the big picture. Stories about the Nephilim are vague at best, but we now have three (rough) versions of a single set of events. 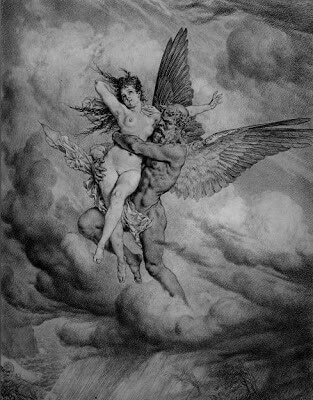 The Nephilim were either entirely human giants or they were a race of hybrids spawned by human women and fallen angels. The fallen angels and/or Nephilim gave many arts of civilization to humankind. Nonetheless, men were “destroyed” by this interference. In His wrath, God flooded the world to wipe out the Nephilim and humanity (save for Noah and his family). One of the Anunnaki, Enki, created seven demigods to help civilize humankind. These demigods were known as the Apkallu. Apkallu and human beings were capable of interbreeding. After the Great Flood, four human-Apkallu hybrids appeared who evoked the wrath of the gods. Reptilian theorists believe that the Anunnaki were real, literal beings, and moreover, that they came from space. Their homeworld is an undiscovered planet called Nibiru in a long orbit around the earth. When they came to earth, they brought many of the arts of civilization, but like the fallen angels of Christian lore, they used human beings for their own purposes. The gravitational tides caused by their planet’s close proximity to ours created the Great Flood. Some reptilians survived on Earth, but Nibiru moved along in its rotation. The next time it returns, we can expect further cataclysms. The remaining reptilians have gone into hiding or live amongst us as human shapeshifters. Like the Apkallu and the fallen angels that spawned the Nephilim, they are capable of interbreeding with humans. This means that some of their descendents could be real-life Nephilim. What do Nephilim look like today? Probably just like us. There are many people who believe that their religions are literal truth, perfect in every detail. But think for a moment about the way that stories are told. There is no such thing as objectivity in storytelling. This is a hard lesson that every journalist learns well. Even something as simple as deciding where to point a video camera when filming a documentary can paint a story with a certain hue. Some information receives a great deal of focus while other information gets left out altogether. Which story about the Nephilim is true? It could be that all of them are true in some respects—and false in others. In other words, none of these stories are the truth. They are simply different versions and interpretations of the same set of events. That set of events is the actual truth. But as none of us have the benefit of witnessing those events directly, we are stuck trying to fit the pieces together. The pieces we have are biased and incomplete. Each of these stories was transcribed through a certain cultural lens. The understanding of the authors was limited by their knowledge of the universe at that time, which limited their language as well. So were the Nephilim the children of fallen angels? Gods? Aliens? Maybe the simple answer is … yes. Who says that there is one right answer here? What we call gods or aliens or angels is simply a reflection of our cultural lenses of understanding. The real Nephilim were simply whatever they were (or are whatever they are, if descendents of Nephilim today are still among us). They might not describe themselves as gods, angels, or aliens at all. If we want to become like gods or angels ourselves, the best thing we can do is to keep an open mind. That is how we learn to go beyond our existing definitions and limitations. That and avoiding literal, immutable interpretation is the key to learning more about our place in the universe. If there is a place for us among the gods and the stars, we will need to evolve a fluid understanding. 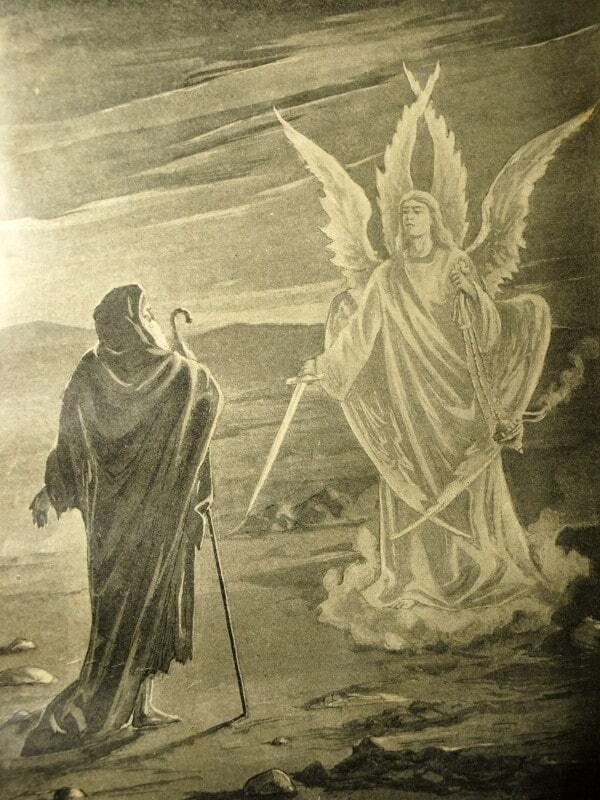 In the book of Enoch when God took him to the heavens he Was given great knowledge about Angels. It states when they take the form of Men/Mortal they are weak to the temptations of Sin. That makes me lean more toward the shape-shifting theory… Although, I have trouble wrapping my head around reptilians beings… But, hey, who knows. Which of those writings is older, I mean with science like carbon dating or whatever other scientific instruments out there? Could the 4 horsemen of the apocalypse be the 4 human Apkallu hybrids you wrote of? I was wondering if you have seen a movie that was out in 2015 titled “He Never Died” starring Henry Rollins. This story shows the main character to have scars on his back like he had wings removed. The cover of the movie poster shows him with wings on his back. Spoiling the movie surprise for you… it turns out he is Cain from the Bible. Now why would this movie have wings and scars where wings looked to have been cut off on a character from the bible that as far as I know never had wings? He also needs blood to survive and does go nuts on human flesh. Now the Illuminati (I read somewhere) that they believe they are descendants of Cain. It also has been reported that the Illuminati and royals drink blood for youthful properties. any thoughts? It seems that we appeared quite suddenly 200000 or so years ago along with other species. There was inevitable fallings in love as we intercoursed our way to the present day, yet homo Sapiens is our main consistency. The idea that aliens rule and always have done seems to fit with all the mythological text. They, then, would be illuminati and I agree that they exist and probably are involved in satanic worship, paedaphilia etc… I, probably like many other homo Sapiens would rather the world operate on love instead of fear, discarding monetary value for being grateful for our lives instead. The world has shifted in recent times, new languages abound as does information flow, yet even the younger generations operate under rules of discretion. Therefore as moralistic homo Sapiens we must have a creator, otherwise the reflection within duality would not exist. I was directed to this website by NASA, who informed me that I am Ophiuchus, the one who holds the snake, son of Apollo and learned from a Centaur in vision and healing, adhering to the divinity of man, seeing illness as a side-effect of life that produces states of imbalance. As a Sagitarrian I can philosophise about this! But, I do like it. As a Poet and a Healer I take great interest in your work and I can understand Enki, or Imhotep, or Joseph, or Nephilim, or Asciepius as all seem to be the same figure in mythologies. It seems to give us our “human quality”, perhaps. I believe there is one more piece of this puzzle that I can add, where did rh negitive blood come from? no Doctor, Scientist or any other person has the answer. It had to be from outside influence, blood can not change by itself. This is a fact and I believe this was the blood of “Nephillum”. Stephen, et-al, the many names for Thoth should be mentioned as well. Quetzalcoatl, Hermes and more, around the world. Also, the recent findings in Antarctica, though unimaginable, seem to indicate both an inner or hollow earth and moon (rings like a bell) and a race of fallen angels or demigods living there. Also, works such as Sitchen’s indicate the lost tribes of Israel were brought to south America from the middle east. Keep an eye on archeological discoveries in Atlantis aka Antarctica. Their were originally 300 Annunaki in the landing party. Apparently shuttled down 50 at a time. Then another 300 to work in the Anzu (lower world, whether that means south Africa or innner earth is not clear. But research Admiral Byrd and all that.) Anyway, my point is. The Annunaki were not the Nephilim. They were the progeny of the “Watchers” or Igigi who came down against orders to take human wives. To clarify. 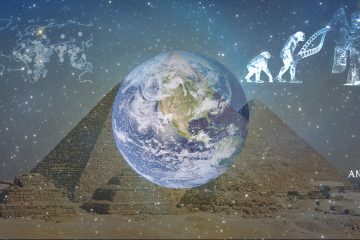 If the Annunaki did not like their planet world, why did they not simply make “Earth” their home world instead of creating hybrid slaves to mind gold for them in order to fix their planet Nibiru? Twylo, I’d say for the same reason conquerors colonized Africa and enslaved her inhabitants; they valued the resources but was attached to the land (or in this case planet) from which they came. Well, I am a few years late for this post, but what I researched shows the nephilim and the annunaki as two different entities, but related. Research shows that we and all the outer stars are the remains of a galaxy that broke up on collision with the Milky way. Every galaxy has someone at the Godhead, we know the milky way GOD as our god from the bible. The work done at the chronicleproject.org tells the creators was a “we” as it stated in the bible. The words “we will create him in our image was right. They worked for the creator of the creators. They terraformed the busted rock in space. When the creators left, the watchers stayed behind. The Annunaki are depicted with 5 fingers and toes on all the tablets. They may have been the creators as I believe the Annunaki are from the milky way and not the busted galaxy (that was most likely referred to as SIN) The watchers were the ones that mated with the daughters of men. They had 6 fingers and toes as it has been remarked that all the demon giants had 6 fingers on each hand and 6 toes. The watchers were as big as the annunaki as the milky way produces large entities. However, it has been postulated that it was the annunaki due to the knowledge they use queens as leaders outside of the area they exist. A few stories about the giants say the groups often followed a single female leaders. 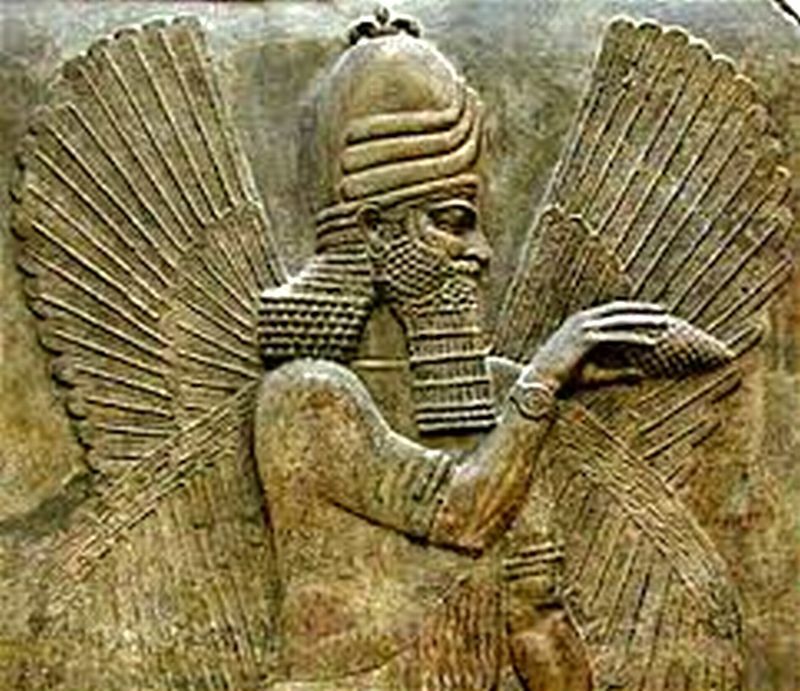 However, I still think the Nephilim were separate and may be a relative of the annunaki. The clue the annunaki were the creators actually comes from the story…where the two battled in space with spaceships the size and shape of a planet. If true, they know how to make a planet and make it a movable entity. The annunaki have a nickname, the Annikim (now you see where a movie was copped from this) I think the Nakash that were trying to convince Billy Meier that they were gods, mentioned this is called the “destroyer”. They gave Billy two truths and mixed in a lie. that is the description of the Nakash, weaving in and out of truth to convince the lie is the same as the description of definition which is weaved in and out like a snake. We are floating on a busted galaxy that is named sin. the galaxy we want is named the heaven. We have to purify our energies to gain access. Or our souls will eventually perish by being stuck in matter that is pulled into a black hole. That is why the one termed it “the way”. I am late into this post too, but before l even knew about shape shifting l actually witnessed a friend shape shift. I was totally surprised and could not understand it at the time, felt very unnerved by it it. Now l wonder why did they choose that particular moment to shape shift as l had been in their company countless times and what was l meant to understand from that episode at that time not knowing anything about it, what was l supposed to gain from it? At least ten years passed before l even realised what had actually taken place, the friend in question literally started to change into a snake because l jumped up, startled, the shapeshifting stopped. Strangely enough l had often thought before that episode that the person in question was a ‘snake in the grass’ and not to be trusted. what happen to the Angels/and wives who created,Nephilim ;while the Flood was going on? Did they Not want to Save their children from the Great Flood??? For example: Nimrod was raised by Kush but Kush didn’t father him. This is inferrred from Gen 3:15. Messiah was raised by Yosef but was not fathered by him. 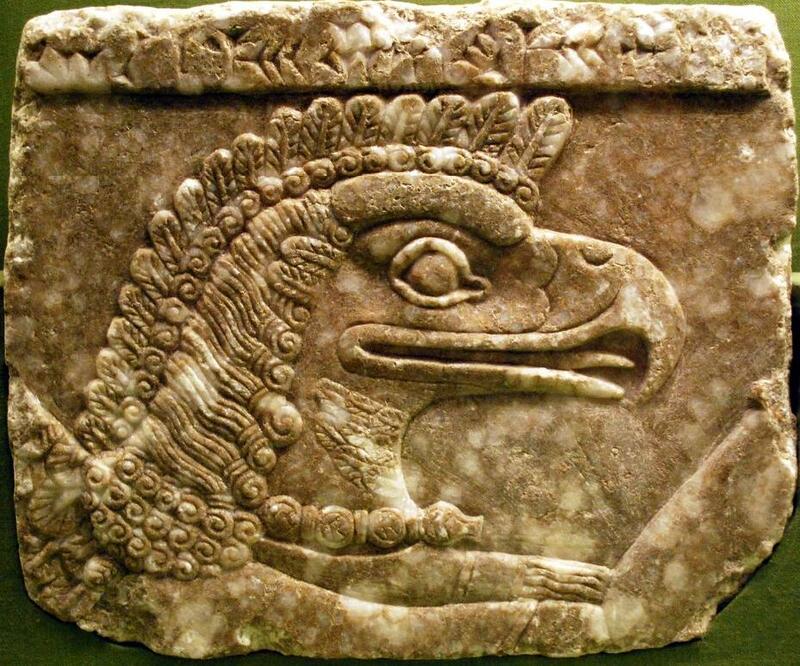 Likewise, Nimrod is the Nephilim son of the serpent / dragon who was raised by Kush after the flood. Nimrod aka: The Ashur, Apolyon, the Beast, the AntiChrist, Lucifer, Prometheus, etc. will fake his resurrection but he hasn’t died. He is restrained against his will in the pit of the Abyss until he is released one more time for 3.5 years of evil rampage. After that he and the false prophet (Korah) will be launched to the Lake of Fire.